There's a major energy shift this week since Mars will change signs. At first, you might not know how to navigate it, but don't worry -- it won't last forever. Make peace with the fact that you'll be more dreamy and romantic this week rather than productive. Hey, that's not so bad, is it? Read all about it! Make your love magical this week with a Happily Ever After Tarot reading. On Monday, Mars will sail into Gemini where he'll remain until June 24. 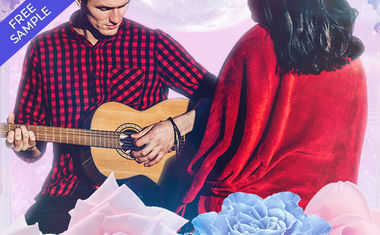 When the planet of assertiveness and stamina enters curious, intellectual Gemini, you can bet that you'll feel more motivated than ever for mental pursuits. In fact, you'll be passionate about learning! You'll also enjoy a welcome boost in cerebral stimulation. Expect to think, talk and make decisions at warp speed! Also, expect to change your plans a lot during this time -- flightiness comes from boredom. Unfortunately, you might not notice all the goodness of Mars in Gemini until next week. This Friday, he'll make a sharp opposition to Saturn, which will put the brakes on whatever it is you're trying to achieve. Think of this as a signal to make sure you're carefully planning out what you want to do and say next. 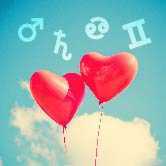 On Saturday, Venus will trine Neptune and fairy tale romance is possible for everyone. If you're not in a relationship, you'll fantasize a lot more about love. It'll be a great time to schedule a first date. If you're attached, you'll know you've found the perfect soul mate, at least for now.